The purchase of the Little Buccaneer ticket includes a Pirate Bandanna, Eye Patch, and Sword making for one fun experience your little buccaneer will never forget! The Captain Kid ticket includes a Water Pistol, Eye Patch, Pirate Hat, Pirate Hook and a Pirate Booty Bag with Coins offering a more interactive experience with the pirates! Weigh Anchor and hoist the mizzen for our ARRRRRRRGH rated cruise! Let the pillaging and looting begin! Step aboard the Pieces of Eight at Salty Sam’s Marina for a 90-minute swashbuckling show. 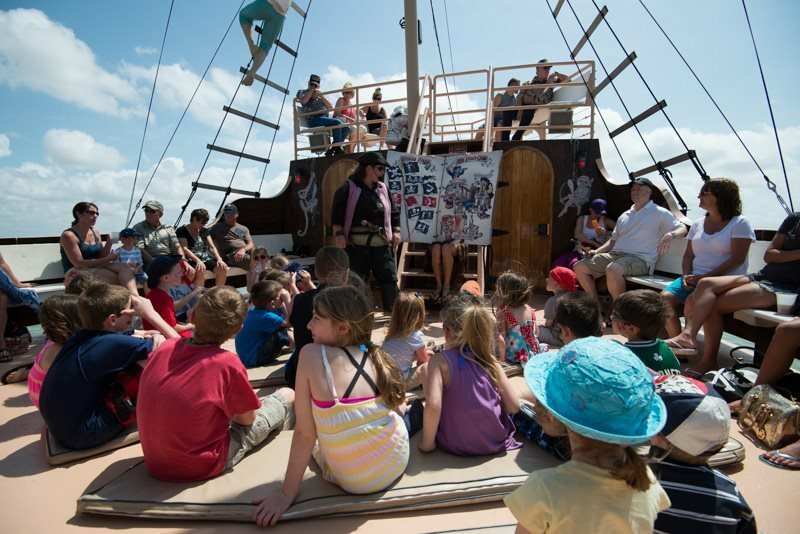 Sail the seas at 7pm through Matanzas Pass to the Gulf of Mexico with Captain Fancy Face Phil, Pickpocket Pete, Peg-Leg Meg and the rest of the crew! 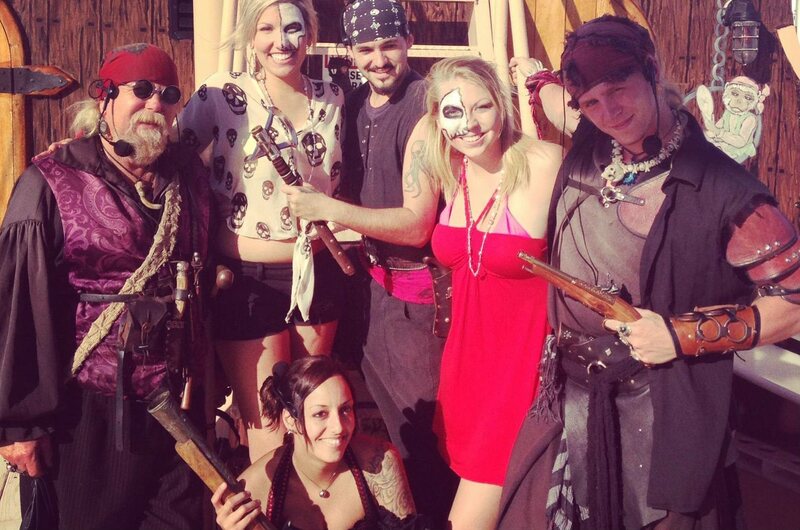 Walk the plank back to Bootleggers or Parrot Key to wet yer whistle with grog and grub to finish the night! Just remember, no slap & tickle ‘o the wenches! Click on any day in Green to view available shows for days other than today (orange). If you experience issues with our online booking system, please call (239)765-7272 to book your cruise. Please Note: More cruises may become available on the date of your choice as the existing cruises become full. Check this website often as more cruises are added on a daily basis.